Stuck for gift ideas this Valentines Day? On the run up to Valentine's Day, I'm sure your men are probably racking their brains for some little gift ideas they could gift you for the special day! Or maybe you ladies are frantically trying to suggest something small you'd like to receive.. or simply you want to surprise your single best friend with something to make her feel special too! After all - Valentine's Day doesn't need to just be for couples! I know some people don't celebrate Valentine's Day for whatever reason, usually because they think it's far too commercialised, or that it's a waste of time or maybe you have literally just broken up with your long-term boyfriend of 6 years (I believe this scenario votes completely forgetting the day altogether!) or for whatever personal reason you may have. However, personally, I always think Valentine's Day is a nice 'excuse' shall we say to put a quick card together; be that a smushy I'm declaring my undying love for you' type, a serious one or just a darn right grateful one. Basically a great chance to say thanks for being my rock, I'm grateful for your company, I love you etc etc, you get the jist! I know we all preach that in an ideal world we should be appreciating our partners everyday and of course I'm sure we are all aligned with the best intentions of doing so, however you and me both know it doesn't always end up this way, and naturally we have plenty of other things to think about or generally, life just gets in the way. After all appreciation and love can go a long way in making someone feel warm on the inside, and personally I love seeing Alex's eyes light up with a small gift he isn't expecting. So why not use Valentine's Day as a time to treat the people you love with a little gift (be that a practical, funny or sentimental one). At the end of the day it's nice to put a smile on someone's face and small gestures can go along way. As Valentine's Day is fast-approaching Ive used this post to compile a little list of both practical, sentimental and unusual gifts which I think would be a perfect little Valentine's gift for that special someone. Hopefully you can take some inspiration away from this post which will help you with your own gifting ideas. I'll be honest, I'd never heard of Kate Spade until the other week when Amara Living contacted me. Amara Living are a website full of luxury home accessories, furniture and lifestyle gifts. 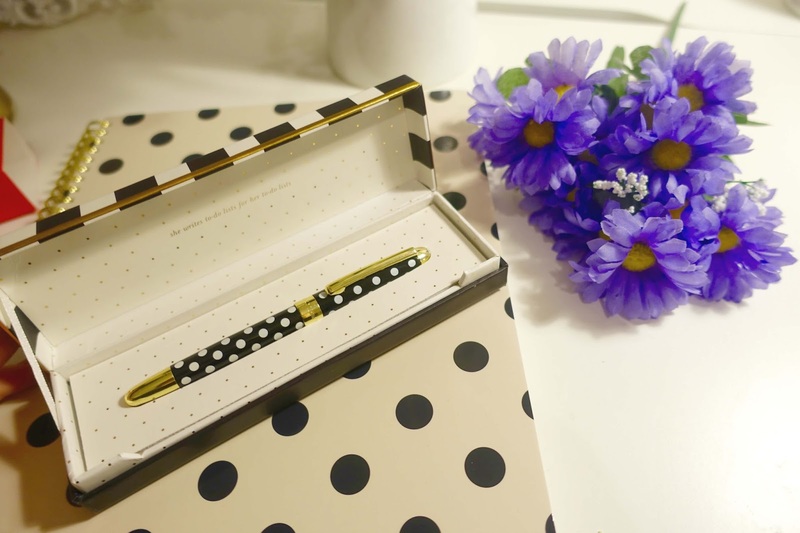 I found myself engrossed within their stationary section full of cute office pieces, which is when I discovered this adorable 'So Well Composed' notebook and polka dot ball point pen, which is perfect for writing down and organising my blogging ideas and posts. 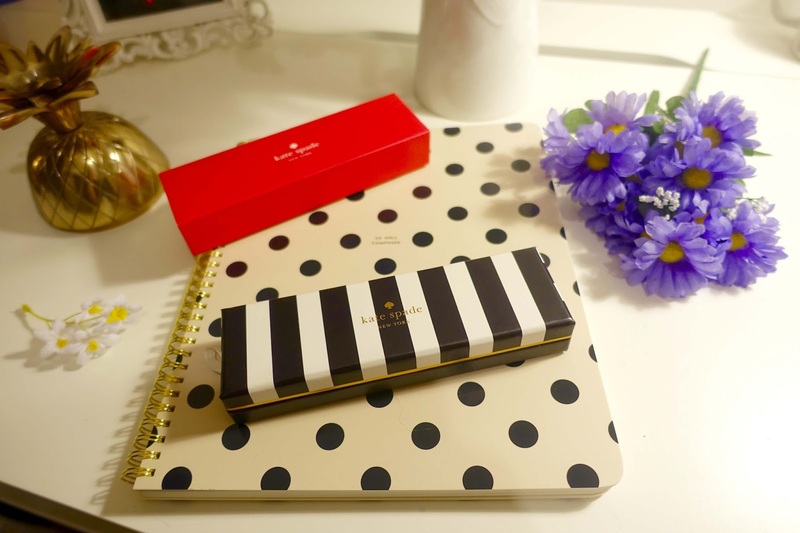 Kate Spade New York is definitely a brand I'll be keeping my eye out for in the future. 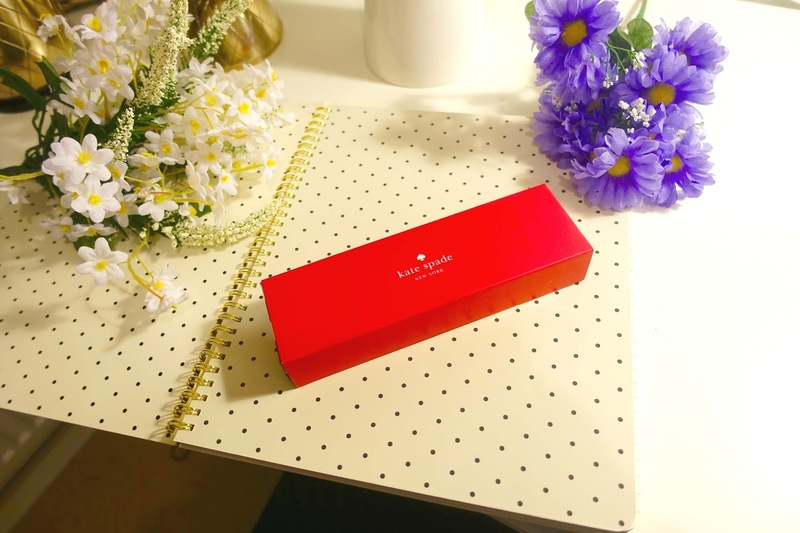 An ideal gift for your blogging loving partner or stationary fanatic! 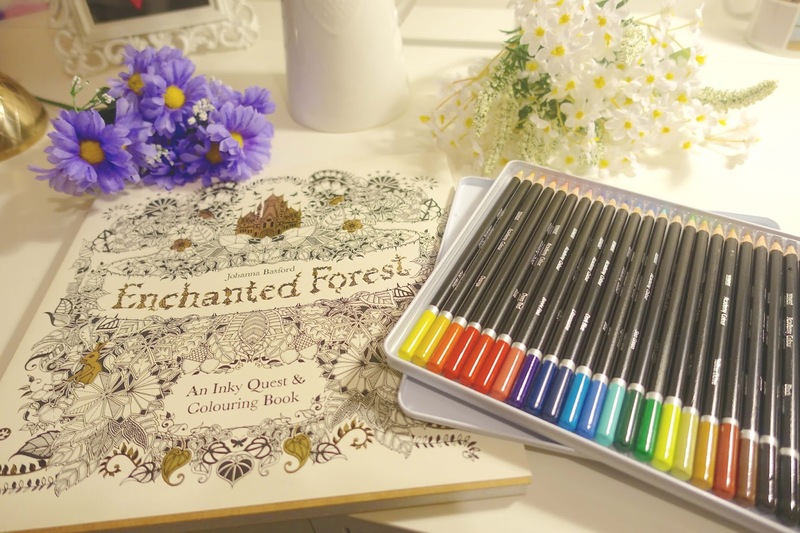 Now you'll probably be thinking this Enchanted Forest Colouring Book and colouring pencil set is owned by me? Guess again! This is actually my boyfriends, and I'm seriously jealous, which got me thinking this would a great alternative gift for valentines day. I for one have already hinted at the idea, or maybe I'll just steal his! 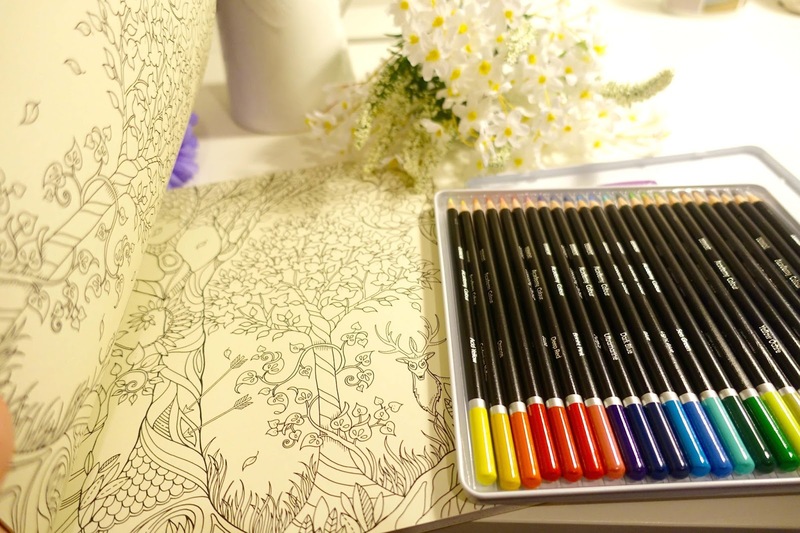 Colouring books can be such great creative outlets and are said to be a very therapeutic activity. Grown ups can have colouring books too! An ideal gift for an arty partner who's looking for a creative outlet! Notonthehighstreet is one of my favourite websites to browse for unusual or personalised gifts you won't find in your typical high-street store. 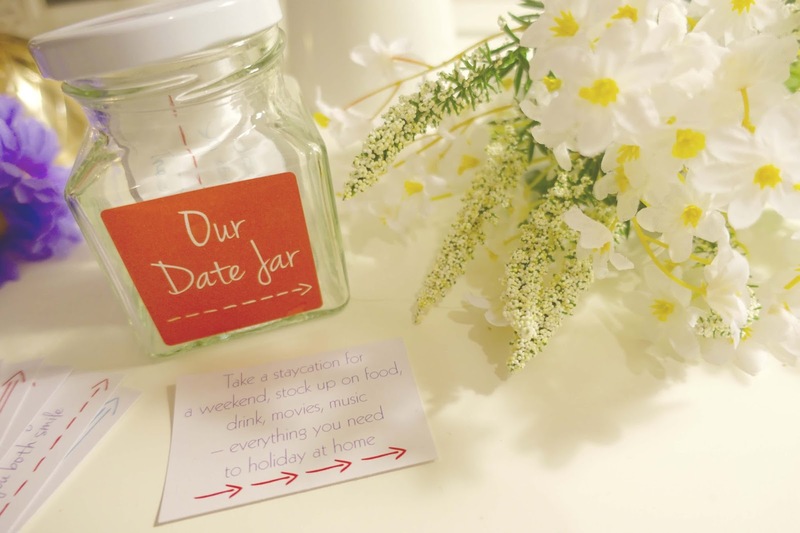 For our last anniversary I spotted this adorable 'Couples Date Jar' from a company selling on the site called The Green Gables. Itching to spend some quality time with your partner? 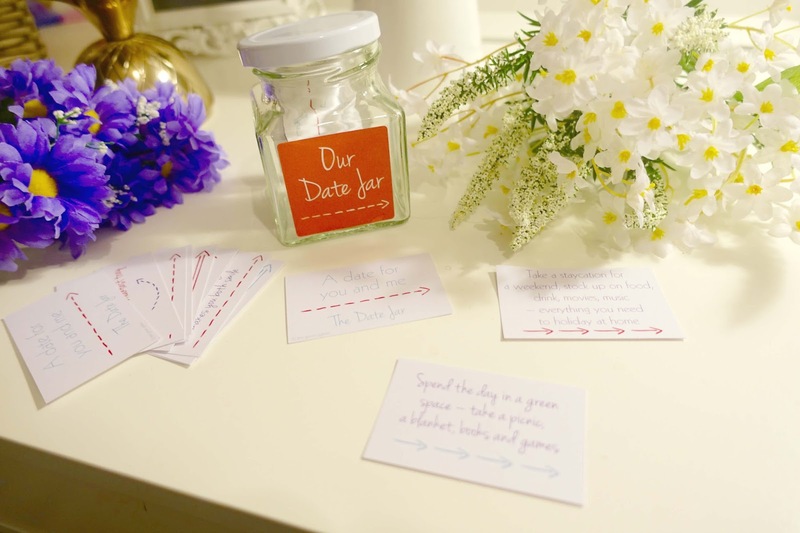 Then the couples date jar is the perfect gift for you, if your in a relationship and your looking to mix things up a little bit with some fun and romantic date ideas, this little jar of love comes with 12 date ideas and there's also a bunch of blanks for you to write down your own ideas - think as little or as big as you like! For example; It's a sunny weekend and you looking for something fun and romantic to do with your boyfriend - why not spend the day in a green space - take a picnic, a blanket, some music and some games... Time to craft your very own 'perfect date'. An ideal gift for the hopeless romantic! Thinking of giving something a little more laid-back this Valentines Day? 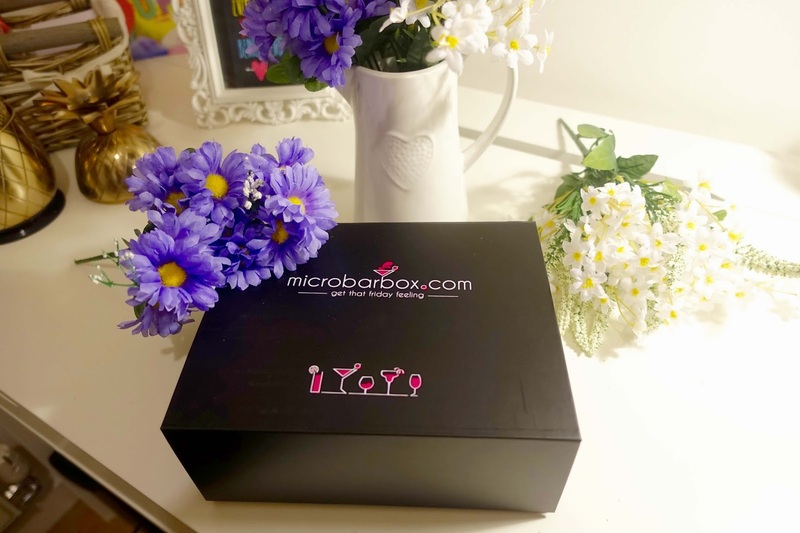 How about a one-off subscription box from Microbarbox? As well as a monthly subscription box service they're offering a one-off box crafted especially for Valentines Day. 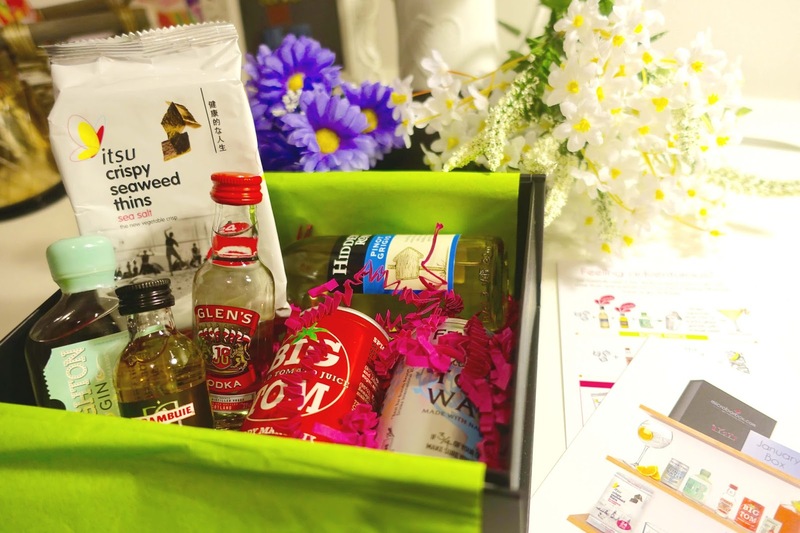 I received January's edition to try which was all about promoting a healthy, detoxing month, so this box was full of boozy treats, minus the calories! Typically a box contains a mix of cocktails, wine, spirits, mixers and a tasty treat. If your having a cosy night in this Valentines Day why not their Valentines Sharing Box. If your interested in trying out their service, they've kindly gifted me a discount code to share with you guys. Basically you can get your first box for only £12 when you sign-up to their Monthly Tasting Club subscription box (you can cancel at anytime), just apply discount code "STREET12" at the checkout. An ideal gift for your cocktail-loving partner or your best friend who appreciates a good drink as much as you! If your looking for a fail-safe option this Valentines Day head to your nearest Next home section and pick up your girlfriend a range of scented candles. Everybody loves candles, plus they're great for burning the midnight oil for a romantic evening at home too! An ideal gift for those who just LOVE candles! Another fail-safe option (if you know your partners favourite scent) - is perfume! A great place to look for these smelly gifts is Boots or Superdrug, I guarantee they will always have a deal on, or a special gift set available in honour of valentines day. 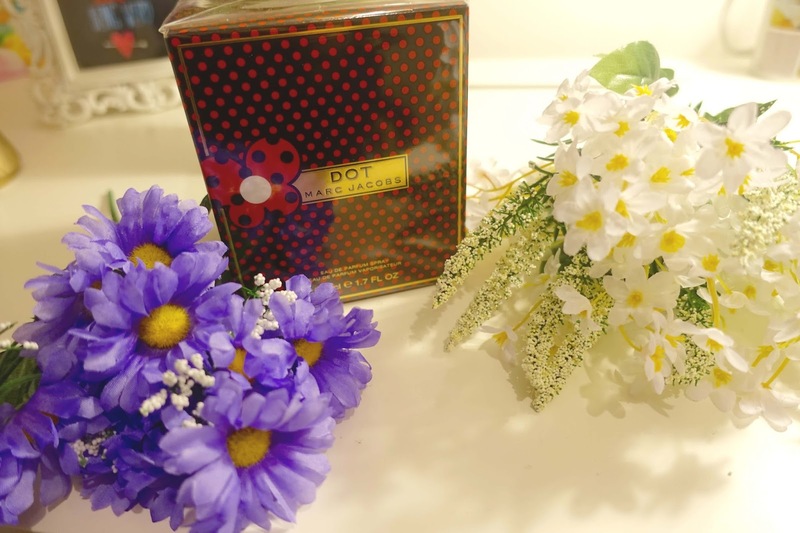 A scent I got for Christmas was Dot by Marc Jacobs, I loved the smell and have been desperate to get some, as you can see its still in its box. I'm very much a 'one perfume at a time' kind of gal. An ideal gift for those in need of a new signature scent! 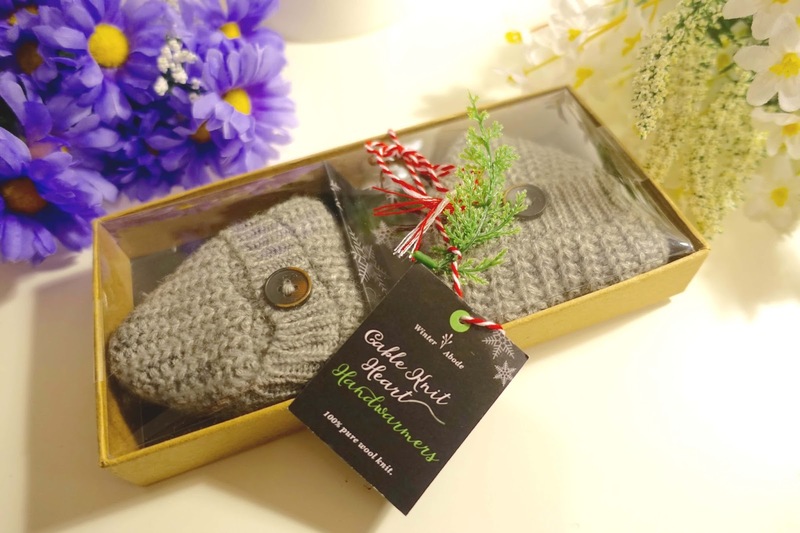 I've included these purely because its winter, they will make you feel warm and fuzzy inside (cringe) and these cable knit hand warmers are heart shaped, the perfect advocates of love! I think this is just a super cute gift that anyone would be pleased to receive, after all, valentines day doesn't always need to be full of teddy bears and heart shaped chocolates right? An ideal (and practical) gift to keep your partner warm this winter! I want to buy the monhty cocktail subscription for myself!